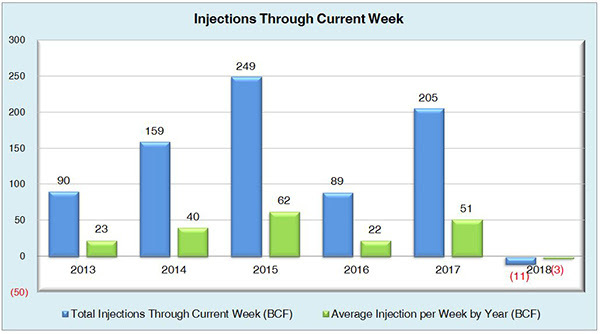 Week 4 of injection season saw an actual injection that was way above the expectation of 52 Bcf. The actual came in at 62 Bcf, and the futures lowered as the market went bearish. 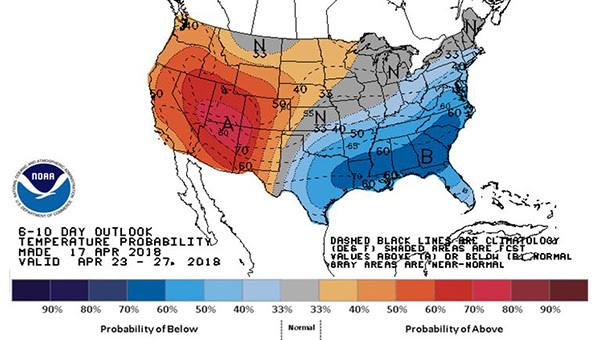 Record production and future mild weather forecasts are some of the main contributors for the downward market. The injection that we had today is very similar to the injection that we had last year which stands at 68 Bcf and the five year average of 69 Bcf. The market is expecting large storage injections for the month of May. We can see prices come as low as $2.65 if we have high injections and the summer heat stays at bay. Weather forecasts are expecting 70s and 80s from Chicago to NYC, the Rockies and plains with a mix of warm and cool temperatures. Current working natural gas inventories stand at 1,343 Bcf. This figure is 903 Bcf (40.2%) less than this time last year and 534 Bcf (28.4%) below the five year average. The June 2018 NYMEX Futures price was $2.753/MMBtu prior to the report’s release and has since decreased to $2.723/MMBtu. The graph below compares historical 12, 24 and 36 month strip prices and storage levels for the past 5 years. 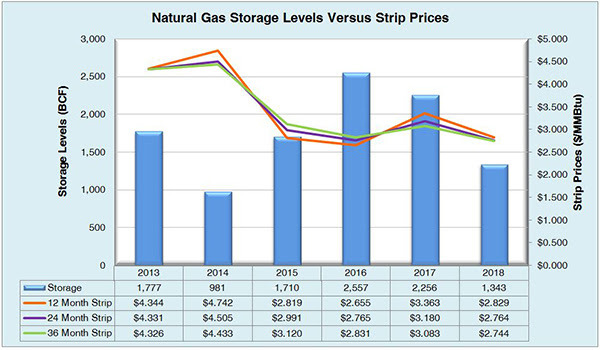 The following two graphs show current natural gas in storage compared to each of the last 5 years and weekly storage averages and patterns. 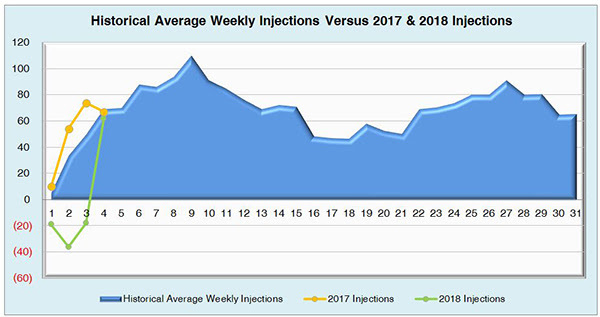 The graph below shows the injections through the current week over the past 5 years. 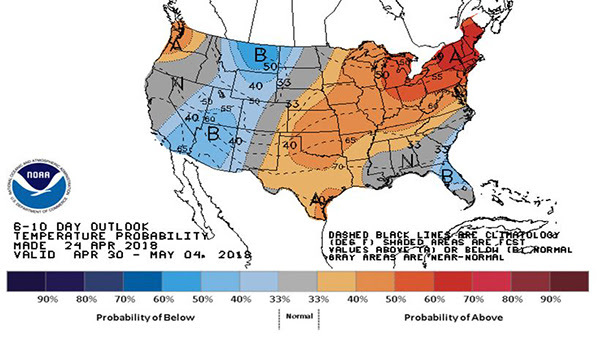 Finally, the graphics below depicts the 6 to 10 day temperature range outlook from the National Weather Service.